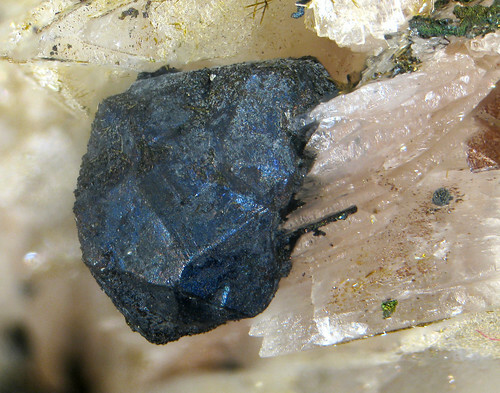 This lovely bornite crystal is about 5mm big and sits on a larger calcite crystal (not shown). It was found in the area of Dzhezkazgan (Zhezqazghan), Karagandy Province in Kazakhstan. It was focus stacked from 26 photos.